With one of our shimmering silver blinds at your window, you’ll transform your room into a space you’ll love to spend time in. View our range of silver Roller blinds, perfect for any room looking for a metallic edge. View our range of silver Roman blinds, perfect for any room looking for a touch of silver. View our range of silver Venetian blinds, perfect for adding a metallic edge. Silver Pleated blinds will add a touch of glamour to your windows. Create a dark and restful environment with silver Blackout blinds. 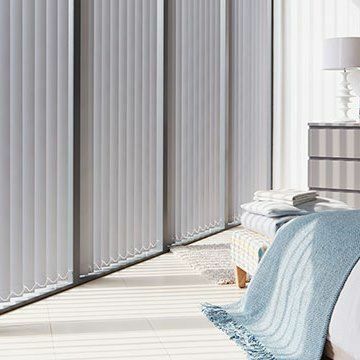 Give your interior a precious makeover with silver blinds from Hillarys. Metallic tones add a hint of luxury to your home, so picking out shimmering silver blinds for your windows is a great way to introduce a little glamour. Once you’ve decided to cross your palette with stunning silver, the next question is which hue is best for you. Gorgeous glittering shades will give your surroundings the wow-factor, while silver blinds with a hint of grey have an elegant yet understated appearance. You can create an exotic look with eye-catching motifs, or go for a plain design and let the glitz take centre stage. 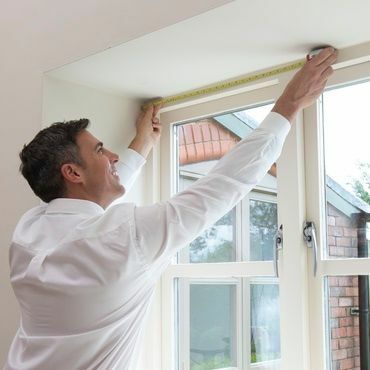 Whatever your taste, book a free home appointment and your local Hillarys advisor will help you to find the perfect window blinds for your room. With Hillarys, you have the opportunity to see how the designs work with your interior during your free home appointment. One of our expert advisors can help you choose, offering you all sorts of style tips. They’ll also measure up and leave you with a no-obligation quote to consider.